It’s been a busy few months and apologies for the lack of updates. 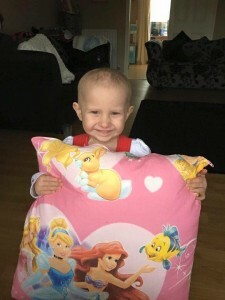 Alfe’s Cause continue to provide monthly meetings for families living in Northamptonshire whose children have been diagnosed with cancer and/or other long term illnesses. Since the start of 2016 we have welcomed four new families to the charity. This always brings a range of emotions with it. Relief that we are able to help and sadness that the families should need our support in the first place. We have also been helping families with press releases for individual appeals and these have and are proving successful in raising funds for their children. We are now also the proud owners of the only mobile end of treatment bell in the UK. 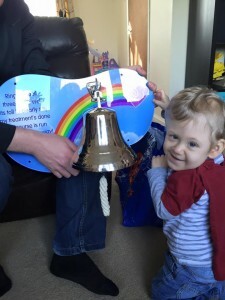 You can find out more about the importance of the bells at https://www.facebook.com/Endoftreatmentbells. We recently took the bell to this little boys home to share in his celebration of completing treatment.